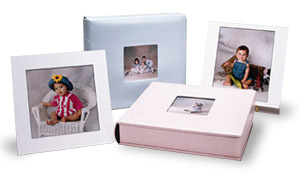 Wedding/Family Albums - In every special event there are images that capture the emotion of the moment. 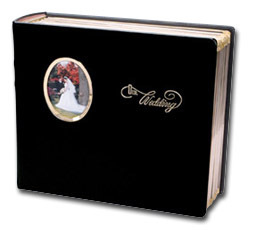 It is for those photographs that Art Leather has developed a complete line of wedding and family albums. Available in a wide variety of sizes, colors and styles, each album is handcrafted to your specifications. More professional photographers recommend Art Leather than any other album brand. Art Leather albums come with a lifetime guarantee against workmanship defects. 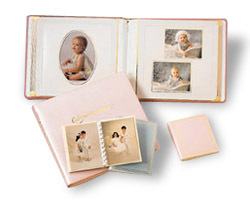 Parents Albums - Present your parents with memories to last a lifetime in an Art Leather Parents Album. 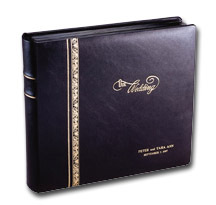 What better expression of love than a gift of a beautiful Art Leather album handcrafted to your custom specifications. Available in a wide variety of sizes, colors and styles, each album is handcrafted to your specifications. Baby/Children's Albums - Capture your children's magical moments with those special photographs in a beautiful Art Leather album. Handcrafted and custom made with special children's album covers decorated in Pearlized Pink, Pearlized Blue, Denim Rose and Denim Blue. Perfect for those cherished memories! defects and are available only through professional photographers.